With the release of ORAS tonight at midnight (at least in the U.S) I wanted to make sure you all remember to get your free shiny Beldum in time to have him on your team for your playthrough! 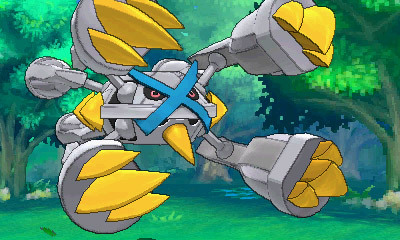 You’ll especially want to grab him because he comes with his mega stone to get you a MegaMetagross! 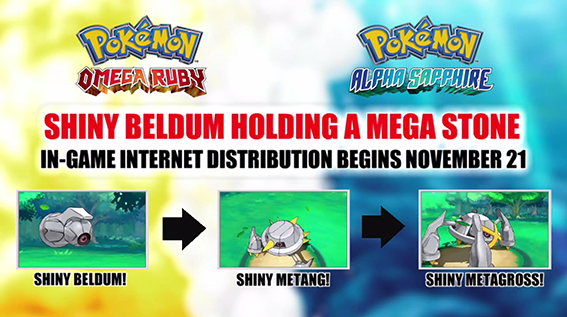 Remember to grab your Shiny Beldum for ORAS from the mystery gift function! At the home screen of ORAS, select Mystery Gift. Thanks W00KIIE for posting this on reddit and spreading the word! Also, I wanted to let you guys know that I got my tickets for PAX East 2015! The tickets always sell out very fast (3 day passes were gone in 5 minutes!) and I was worried to guarantee that I was going before I got tickets. But now I can safely say that I will be going to PAX East and if Riot gives out free codes again this year (which I’m sure they will) I will have some to give away! Also, if any of you guys want to go, there are still Friday and Sunday Passes for sale. Not going on Saturday wouldn’t be a total loss – it is the most crowded day at the con and Riot usually gives out the PAX exclusive codes on Sunday, anyway. Only 105 days until PAX East, guys!